Alligator season may be over in Louisiana but King of the Swamp, Troy Landry, is still on the hunt. Fielding distress calls from family, friends and neighbors across the South, Landry teams with local experts in a wild chase to help save America from hostile, menacing and often mysterious creatures. It's a battle of wills between a legendary man and beasts. 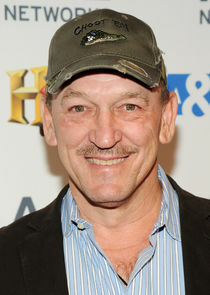 Landry's travels lead him to confront "El Diablo," a behemoth gator on the attack in Mississippi; "Garzilla," a man-sized garfish with a taste for flesh in Louisiana; feral hogs in Texas; bull sharks in Louisiana; and pythons fighting gators in Florida - just a few of the many animals and locations investigated in each new episode. 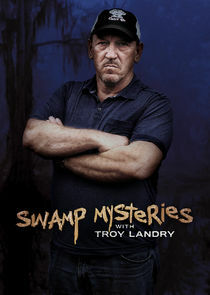 Using years of alligator hunting experience, Landry aids in tackling the threat posed by these intimidating animals as he discovers who they are and the myths behind them, and witnesses first-hand the havoc they can wreak on the environment, property and even residents. Troy embarks on a mission to protect locals from an unknown beast lurking in Louisiana's most mysterious bayou.